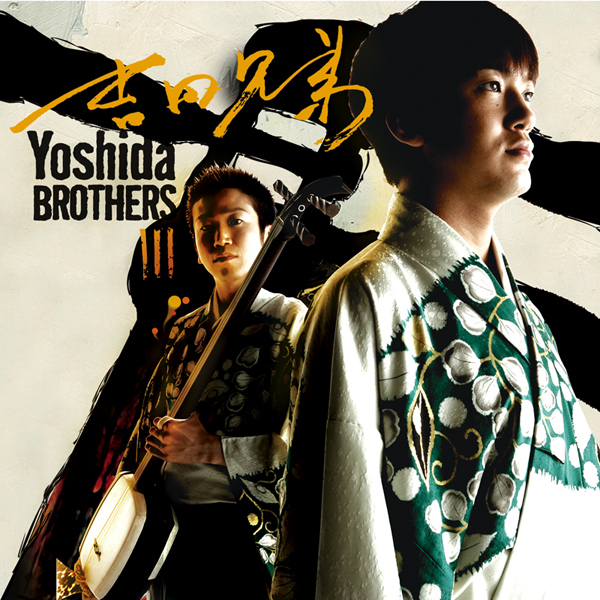 Their US thirs album “Yoshida Brothers III” was released in September 2006. They recorded it in US and spent three months to finish this album. It includes “Erghen Diado,” written by famed world musicologist Marcel Cellier and robustly arranged with drums, bass and strings, and a hypnotic take on Brian Eno’s “By This River,” the only song featuring vocals (from Remy Zero’s Cinjun Tate). Yoshida Brothers also worked on their first cover song in this album. They covered John Lennon and Yoko’s “Oh My Love” with Shamisen. 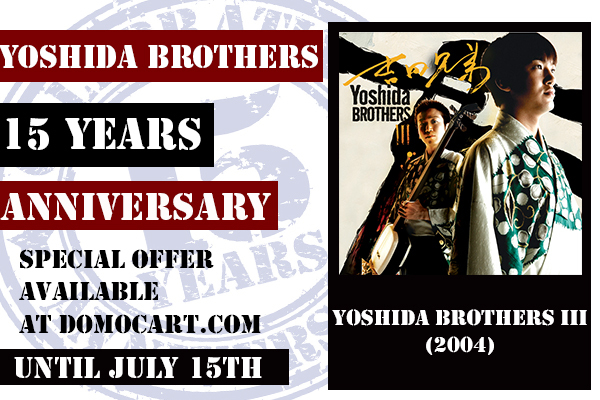 This entry was posted in Yoshida Brothers and tagged 15th Anniversary, Cultural, japanese, Oh My Love, Shamisen, YB III, Yoshida Brothers, 三味線, 吉田兄弟, 日本, 津軽, 津軽三味線. Bookmark the permalink.